Clanwilliam Accommodation. 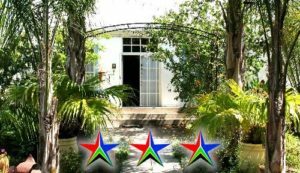 If you are looking for a place to stay or just overnight accommodation in the Cederberg region Clanwilliam is the perfect spot. From here you can explore the Cederberg, west coast of South Africa. With guesthouses, bed and breakfast, self catering, farm stay and caravan & campingjust to name a few to choose from. Use the Clanwilliam Accommodation search filter to see what is available in our area. 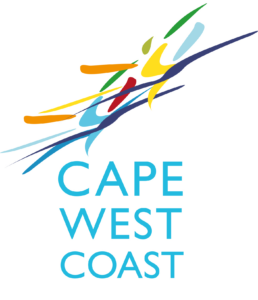 You can also download our tourism and region information Cape West Coast App and have the Clanwilliam accommodation right in the palm of your hand. The accommodation is situated in the section of Clanwilliam on the left-hand side of the town as one approaches. It overlooks a section of the rugged Cederberg Mountain range. Ideally placed, and is a PERFECT HOME AWAY FROM HOME facility. Clanwilliam is situated in the Golden Valley of the Olifants River with the Atlantic Ocean 60 km to the West and the Cederberg directly to the East. Clanwilliam is one of the ten oldest towns in South Africa. A small, attractive and quiet town, featuring some fine examples of early Cape-Dutch architecture & surrounded by vineyards, citrus orchards and rooibos plantations…. The most centrally located accommodation in Rocklands , South Africa. Nestled in the picturesque Agter-Pakhuis Valley, 26 km from Clanwilliam on route to the historic Wuperthal village, you will find de Pakhuys Farm. Elephant River Guest House looks forward to welcoming you to stay. Experience comfort and charm of our 4 tastefully decorated en-suite garden chalets along with the friendliness of family. 2 with double brass beds and 2 with twin single beds. Fridges, coffee/tea facilities, t.v’s, mosquito nets, bedding and towels supplied. Enjoy the tranquil beauty and unique character of Flora House. Set on the banks of the peaceful Clanwilliam Dam, let this beautiful self-catering guesthouse become your home away from home, any time, any season. Flora House is nestled in the quiet town of Clanwilliam in the Western Cape, a stone throw away from the tranquil Clanwilliam Dam. Surrounded by flora and fauna indigenous to beautiful South Africa, we offer our home and all its facilities to you ensuring you have the best break away from city life. Luxury bedrooms with air conditioning, each infused with great personality and attention to detail. Spacious bathrooms with shower and bath, some with ball and claw baths. Ndedema Lodge is situated in the scenic village of Clanwilliam, only two hours drive from Cape Town. This quaint town, one of the oldest in the country, nestles at the foot of the majestic Cedarberg mountains. It is just enough of the beaten track to feel timeless yet close enough for an unhurried getaway from Cape Town or the ideal stopover en route to Namibia and the Kalahari Gemsbok Park. 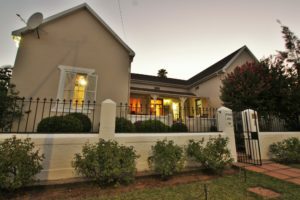 This stylish Victorian House situated at the end of historic Park Street was named after the Khoi-san word “Ndedema “, the name of the most superior antelope in their nature kingdom. They believe that this holy animal represented physical and spiritual superiority, the best in their world. With this name we honor the spirit of this majestic animal and we shall strive to offer service and quality of such excellence. Ndedema Lodge is a peaceful haven to come back to after a day of exploring the Cedarberg mountains or other attractions…. 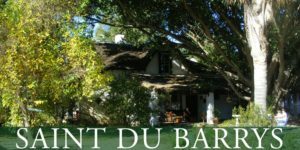 Saint du Barrys is situated at the foot of the Cedarberg in the historic town of Clanwilliam, 220 km from Cape Town, on the N7, the main road to Namibia. The coastal town of Lambert’s Bay is 60 km to the west of Clanwilliam, and the Namibian border is 470 km to the north. Fully equipped self-catering unit for 2 people in Clanwilliam in the Cederberg region of the Cape West Coast. With private braai facilities next to the pool. There is safe parking in front of unit. The unit has air-conditioning and DSTV is included. 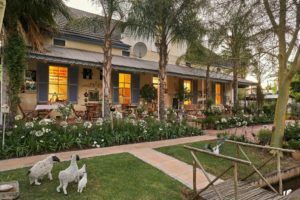 This upmarket country-chic bed and breakfast was born out of a love for the countryside, the Cederberg Mountains and the town of Clanwilliam in particular. The distinct characteristics of each guest room, quiet corner and garden space tell a story of relaxation, inspiration, rejuvenation and love. 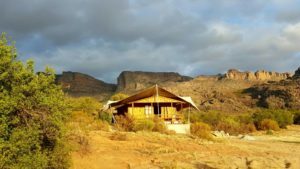 We stayed here on our way to Namibia and were blown away by it! The gardens are absolutely lovely, the Guest House has been thoughtfully decorated and furnished. Intro info for the listing This self-catering unit sleeps four .It comes with all the necessary Bedding, TV, Microwave etc. As seen on the photos. The price begins at only R200 pp. Give Piet a call and find out all about this well-equipped Garden Flat.